Being a leader in today’s world isn’t easy. There are unprecedented challenges to face and new obstacles to overcome. Are you ready to engage, transform, and get results for your business? Then Steve Goldstein can help you become the leader your team deserves. 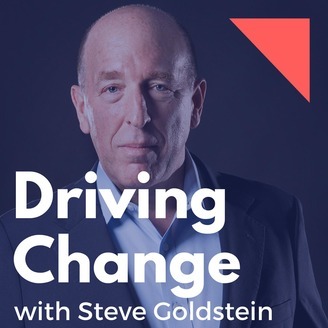 Driving Change with Steve Goldstein is built for professionals looking for new and innovative solutions to everyday leadership problems. Whether you are trying to steer a startup towards success or struggling to open up communication in the office, the answers are here. Why Steve? Steve is an advisor, speaker, and author who works with leadership teams to drive change, stimulate innovation and substantially improve performance. He successfully leverages over thirty-five years of experience working as an operating executive, director, and consultant at both global Fortune 500 corporations (including as Chairman and CEO of American Express Bank), midsize companies, as well as advising private equity firms with their portfolio companies. Let Steve transform your employee and customer engagement, accelerate the pace of decision-making and change and realizing improved performance. Listen live or on demand today! Is Your Business Thriving or Barely Standing? About 20 years ago, Steve Goldstein coined the term “Playing Not To Lose” to help his employees and clients understand that it’s important to always strive for a new level of success -- not just to do the bare minimum needed to stay afloat. 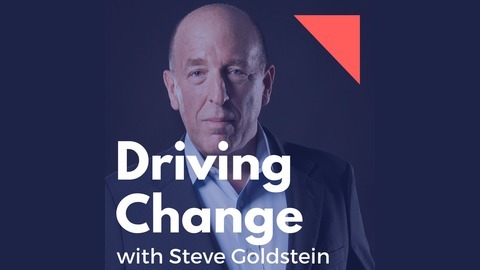 In today’s episode of Driving Change, Steve explains how Playing Not To Lose applies to businesses today, and why winning leaders motivate and empower their employees to share a similar mindset.